DAVID LE/Staff photo. 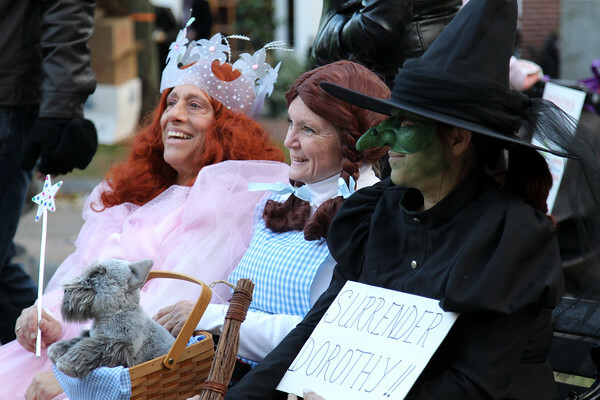 Nancy LaMarca, Eileen Armstrong, and Lisa Simon, of New Jersey, sit on a bench dressed as characters from the Wizard of Oz, on Saturday evening. 10/31/15.